Sisi "is a candidate who we can count on," says Egypt’s interim Prime Minister Hazem el-Beblawi. Egypt’s interim Prime Minister Hazem el-Beblawi announced on Thursday that he supports the country’s Army Chief Gen. Abdel Fattah al-Sisi bid for the presidency, Reuters reported. “Sisi has a very strong popular support and definitely is a candidate who we can count on but of course the final judge is the people,” Beblawi told Reuters during the World Economic Forum in Davos. 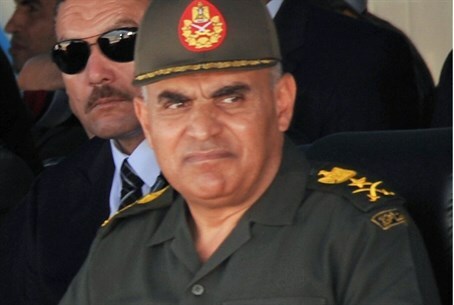 Beblawi’s statement is one of the highest-level endorsements for the widely expected presidential bid by the army chief. Sisi has yet to announce his candidacy but many have speculated that he would do so soon. This week it was reported that Sisi is preparing the electoral agenda he will present to the country when he announces his candidacy. Sisi led the military’s ouster of Islamist president Mohammed Morsi this past summer and has gained wide popularity across the country since that time. He recently said he would run for president if the people demand it and the military supports him. Many speculated that his decision to run would be influenced by the results of last week’s referendum on the new constitution. On Sunday it was reported that Egyptian voters had approved the new constitution by an overwhelming majority of 98.1 percent, though voter turnout had only been 38.6 percent out of 53 million registered voters. Nevertheless, the approval of the constitution is likely to give Sisi the boost he needs to announce his candidacy.